It’s time to let Linsanity go. Earlier this week, my small forward Ben Detrick (No Fly Zone stand up!) posted to a Grantland NBA Shootaround hinting at the idea. Then Chron.com’s Jonathan Feigen posted this yesterday at Ultimate Rockets to remind us that Rockets coach Kevin McHale, at least, has been trying to let Linsanity die since last year. It lingers, however, for the Jeremy Lin fan. The Lin-only fans or “LOFs” as they’re called by ClutchFans.net can’t help it. Earlier today, Jeff Yang of the Wall Street Journal posted this piece on Linsanity in WSJ’s Speakeasy section quoting an email exchange we had recapping last night’s game. Basically, I was trying to convince him that Linsanity is long over and needs to be laid to rest. Yang is an unabashed LOF, as are many of my friends, but that isn’t a problem in itself. 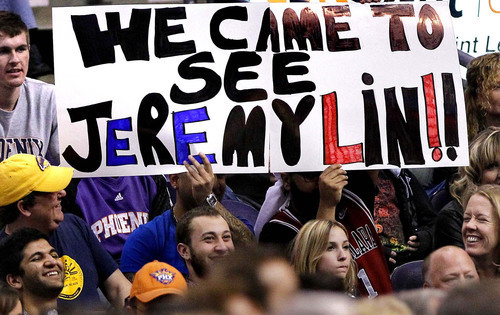 There are plenty of fans that would follow Kobe Bryant or Lebron James wherever they went. But, Yang suggests that he and other LOFs can’t help but want more of that incredible run of Linsanity. I get that, but that’s the difference between many LOFs and fans of the game of basketball. 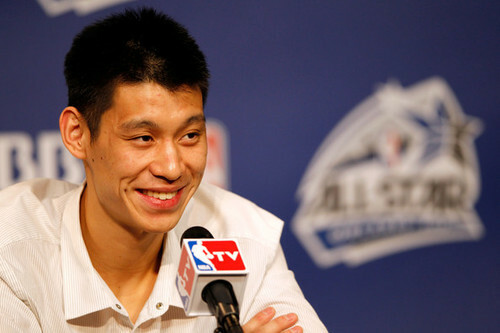 For a lot of LOFs, basketball began at Jeremy Lin. Linsanity is the precedent for which they will measure every Lin performance. That just isn’t fair for the kid. NOBODY has ever had a run like that. And probably, nobody ever will. Knowledgeable basketball fans generally know this, but I’m not gonna get too deep into that. I’m not making a case of one fan being more true than another. I’m just saying that expanding one’s scope of reference for the game, knowing more about it’s nuances and history, helps all fans appreciate Lin’s accomplishments that much more. So for my LOFs out there, forget about whether Lin deserves to start, forget about whether he’s outplaying Patrick Beverley (or Raymond Felton), forget about whether the media is giving him enough love. Jeremy Lin is off to a phenomenal start to the season. He is healthy, he has improved his shooting stroke, he is straight up doing work right now: 18.4 ppg, 4.7 apg on .527 FG%, .465 3FG%, and .807 FT%. And, he’s making it all look very natural. It’s early, sure, but like Detrick suggests, it certainly looks sustainable. And if it is, Lin is a damn good player. 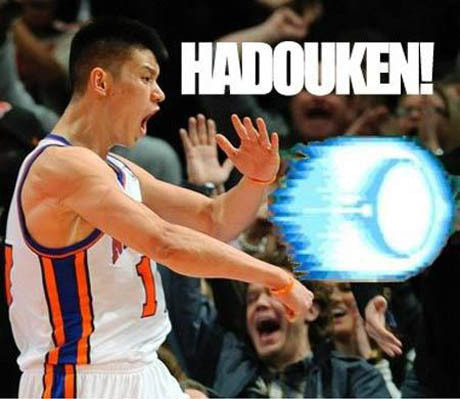 Trying to bring Linsanity back only diminishes his efforts. Lin is actually a better player right now than he ever was during the Linsanity run. Forget Linsanity. Let it die. What he is doing right now is far more substantial for his team, for him as a player, and for the future Asian American athletes. And, if it seems unremarkable, that’s just an indication of how far he’s come. — R.H.